Le Plume II watercolor marker is the ideal pen for your art or rubberstamping needs. 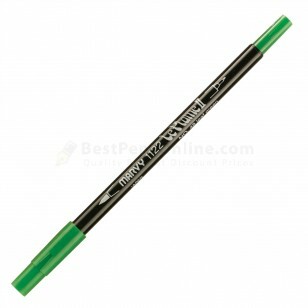 The fine brush tip is large enough for direct use on rubberstamps. Make multi-colored impressions by using two or more pens on the rubber before stamping. A blender marker is also available.